Magento 2 is one of the leading eCommerce platforms in the world, which is used by more than 2,30,000 online retailers. If you are thinking of upgrading your site to Magento 2 or want to start an eCommerce site, then you should be aware of the features of Magento 2. Slow site speed can affect your eCommerce website badly. It can result in increased bounce rate and less online sales. Magento 2 is much faster than previous versions of it and also other platforms. The Magento 2 admin panel is coming up with a modern look and feel. It is more organized and separated into different categories like the dashboard, sales, products, customers etc… The new UI is both user and mobile friendly. 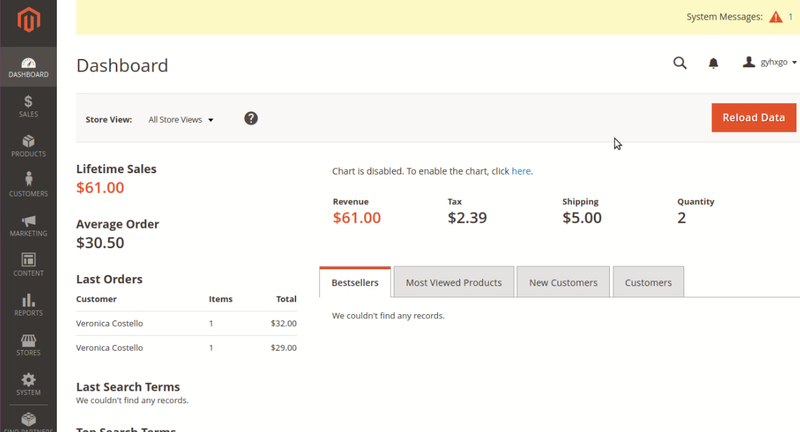 The checkout in Magento has been reduced to 2 step important process. That is shipping & billing. This will make the checkout fast and very easy which will result in more sales. Magento 2 supports PHP 7 which is fast and gives more programming capabilities. Therefore, your site will run much faster. Compared to Magento 1,Magento 2 is more secured. Because of the Magento 2’s better password hashing, the chance for brute force and other attacks are very low. With the help of full page caching which is built into Magento 2, the site will load faster. Upgrading to Magento 2 and installing extensions became very easy with Magento 2. Also, extensions in Magento 2 is lightweight compared to Magento 1. To get the maximum yield from the Magento 2, you need to get Magento optimized hosting. This is where Aspiration Hosting comes into the picture. When it comes to Magento hosting, Aspiration Hosting is always one step ahead of its competitors. Therefore, if you need the best hosting Magento, then look no further than Aspiration Hosting. Contact us and let’s begin the journey.